Last year in early October, Yarden said to Josh and me, with a twinkle in his eye, “I have an idea.” And when those four words come out of his mouth, you know you’re about to be in for an experience. And he started telling us about how he was going to ride – really ride – for 12 hours…around Gush Etzion from the dead of night to the dawn of a new day. And how this would be a fundraiser for cancer and for Stella…and how it would mirror what they were going through, with the darkness of cancer and the hope for dawn. “Um, what?” we both replied. But in perfect Yarden fashion, we held on for the ride and watched him pull it off. And rather than sit around stewing in those feelings, Yarden chose to put his energy towards something incredibly positive and life affirming – the bike ride of his life. And in doing so, he allowed his family and all of his friends near and far to feel like they were doing so and participating in some small way. It was one of the most life-affirming, inspiring and invigorating nights I have ever experienced. On that night last year, we surprised Yarden with t-shirts. and then a bunch of us were there at 5:30 in the morning to greet him when he finished. We got updates through the night from his crew about where he was, how he was doing, and what the crew was eating next. We got to laugh and enjoy and watch Yarden ride his heart out for the love of his wife. And he’s inviting all of us to participate again. There is something overwhelmingly therapeutic about being able to put our energy towards a task; about having something fun and exhilarating to look forward to and about watching the process unfold. Everyone wants to know how they can help the Frankls – how they can help Stella. The best way to do so right now is to donate with this link. 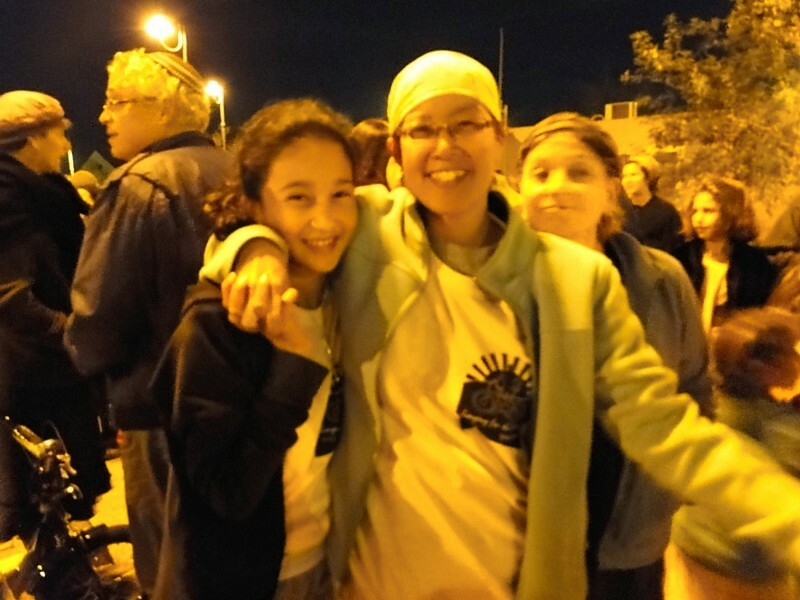 Yarden is taking on this challenge as a way to raise money for Shaare Zedek, the hospital where Stella has received all of her treatments to date, and to which she is returning now for weekly treatments. Sitting with her last week for the first of her new chemo treatments, I was struck by so many things in the cancer ward. The age range in the day ward is astounding – there are so many young people there; so many faces that have been through hell at an age when they should be getting married, having children and enjoying life. 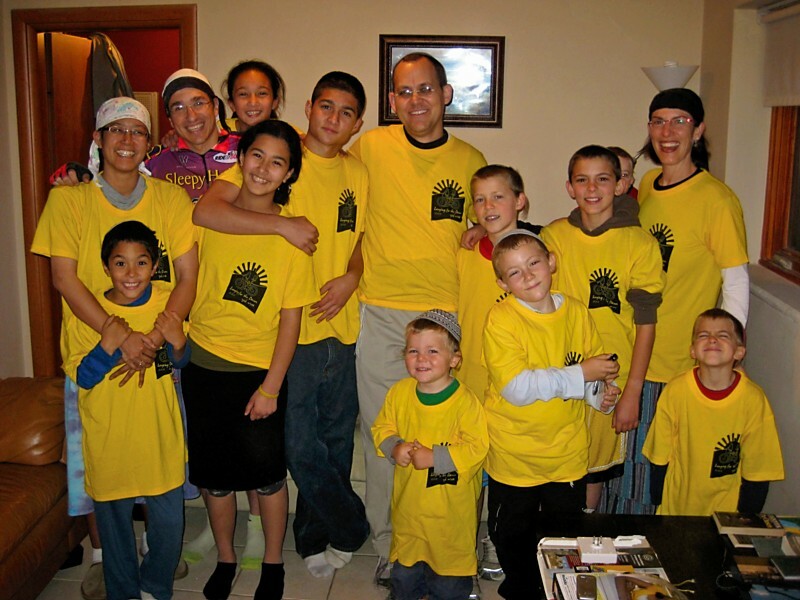 As Yarden always says, “The cancer business is booming” and it needs our support. All of the money that Yarden raises from this ride is going to the cancer ward at Shaare Zedek to help patients like Stella and to ensure that they continue getting the best care possible. There are so many beautiful ways that people have expressed, and continue to express, their love for the Frankls. Challah has been made around the world, groups have gone to the Kotel and to Kever Rachel together, baked goods have been made by the truck loads (none needed right now), evenings of simcha have been enjoyed, emails have been written to them and more. 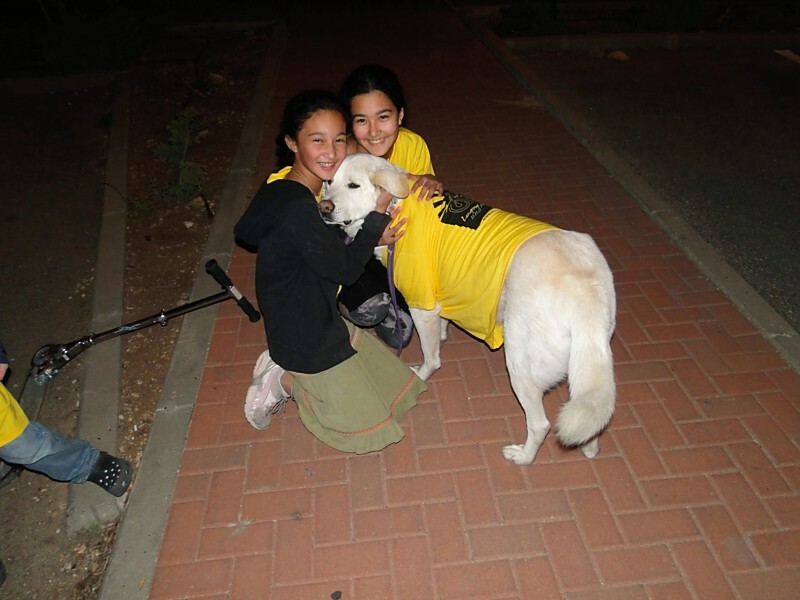 Now, it’s time to show them that we love them with donations to Shaare Zedek. Stella is fighting like hell; Yarden is training like hell; and we can all do our part to show them that we’ve got their back and that we are standing there with them every step of the way.